In Fitness and In Health: Baby Steps to the Super Spartan! I am currently sitting on our couch with knots in my stomach. We are leaving any minute for Squamish and the Super Spartan Race. 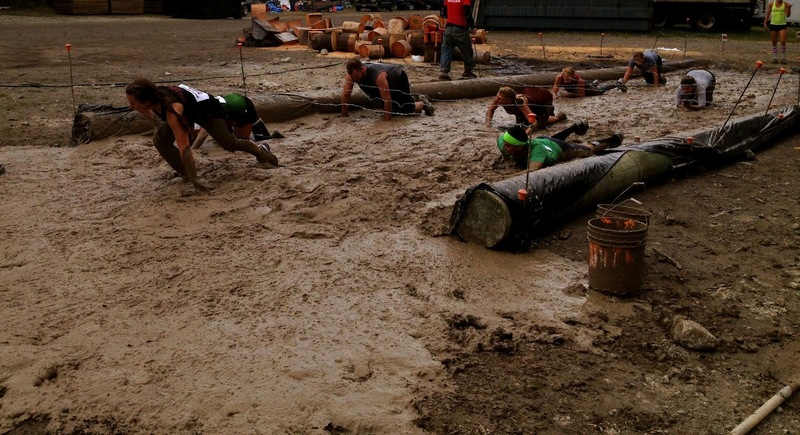 Tomorrow at 11am, Andrew and I will be running through mud, fire, and other obstacles for 8+ miles (12km)! There are 3 versions of the Spartan obstacle races, the Spartan Sprint - 5 miles, the Super Spartan - 8 miles and the Spartan Beast - 12 + miles. If you do all three of those, FAST, you can then move on to the Death Race - 24 hours of mayhem! The idea is that you work your way up, no one is expected to wake up and be ready for the Beast. And Andrew and I have a long way to go before we will ever, if ever, be ready for the Death Race! Similarly, creating a sustainable, healthy lifestyle is a continuous journey, you meet certain milestones and keep on going. 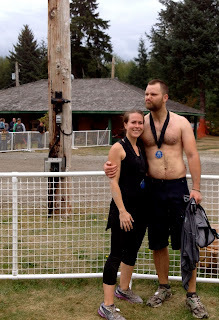 Since we started writing this blog I've had many conversations with friends and family regarding their health and fitness journey. One friend shared that she had stopped regularly buying pop for her household. What an amazing step along her journey! It's these small manageable changes that accumulate and effortlessly transform our lives. So start manageable, you don't need to jump into the Beast today! Wish us luck, we're out the door now!! !